Selena Quintanilla, known to her fans as the “queen of Tejano music,” will be posthumously honored with a star on the Hollywood Walk of Fame on Nov. 3, the Hollywood Chamber of Commerce has announced. The Texas-born singer’s sister, Suzette Quintanilla Arriaga, will join Hollywood Chamber President/CEO Leron Gubler in unveiling her star – the 2,622nd on the Walk of Fame – in front of the Capitol Records building at 1750 N. Vine St.
Actress and fellow Texas native Eva Longoria is also scheduled to join Mayor Eric Garcetti at the 6:30 p.m. ceremony to proclaim Nov. 3 as “Selena Day” in the city of Los Angeles. Actor Edward James Olmos, who played Selena’s father in a feature film about the signer’s life, told Variety that the performer is deserving of the accolade. 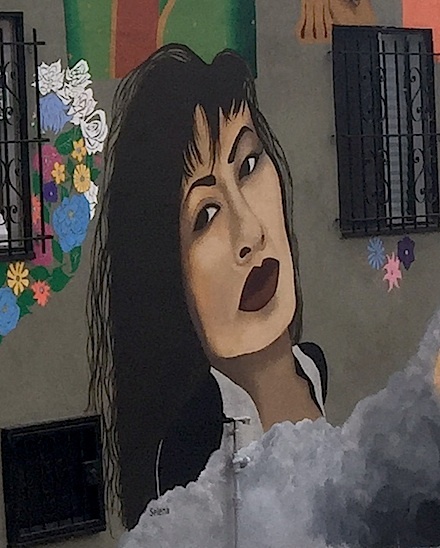 Her popularity has grown since her passing, with festivals and specials events held in this country and Mexico annually on her birthday and on the anniversary of her death. Eugenio Derbez receives star on Hollywood Walk of Fame. Eugenio Derbez received the 2,576th star on the Hollywood Walk of Fame today, honoring a career as an actor, writer, director and producer that has made him one of the most influential creative forces in Latin America. Derbez, 54, thanked his parents for introducing him to the world of movies as a child. Derbez recently opened a Los Angeles-based television and film production company, 3Pas Studios, which has a first-look film deal with Lionsgate and Pantelion Films and a first-look television deal with NBCUniversal.